Recruiting, training, and supervising Lion volunteers who conduct computer-assisted telephone interviews of patients. Developing and coordinating local Lions Club-led public education and eye health screening programs. Developing and coordinating local programs to provide direct services to Lions LOVRNET patients. Developing and overseeing the Lions LOVRNET e-commerce system, and managing agreements with vendors, and contractors. 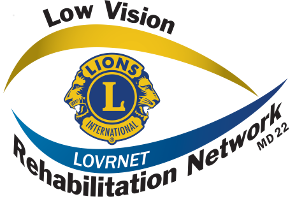 The Lions Low Vision Rehabilitation Network (Lions LOVRNET) is a community-based healthcare program that addresses the current shortage and distribution of low vision rehabilitation services. Massachusetts Lions (Multiple District 33) launched its Low Vision Rehabilitation Network to statewide Lions in late 2017 with regional presentations at District Advisory Meetings and the formation of a statewide steering committee headed by Boston Host Lion Dr. Alexis Malkin O.D., F.A.A.O of New England College of Optometry (NECO) and MD 33 Project Chair, Boston Host Lion Matthew Richardson. Joan Gillard graduated from Ohio State University and worked as an Occupational Therapist for some 40 years before recently retiring. Her work experience includes adult rehabilitation in outpatient settings, in-patient rehabilitation, home health and low vision rehabilitation. Read her thoughts, based on a telephone interview, about various issues she has seen during her career. 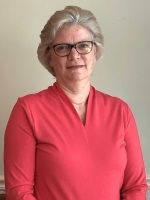 Nina Glasner is a Clinical Social Worker and a certified low vision specialist licensed to practice in DC and Maryland. She has a general private practice with a specialty in blindness and low vision. Because transportation is often an issue for her clients, Glasner provides in-home services or meets them in other locations convenient to them. Dr. Daniel Baruffi is a thirty-four year old optometrist who works at Wilmington Family Eye Care and is now a Lions’ LOVRNET Low Vision Provider. He grew up in Vineland, NJ and is married with one young daughter. Low vision is a general medical term used to describe impaired vision in both eyes that cannot be corrected to normal with medical treatment, surgery, or eyeglasses. 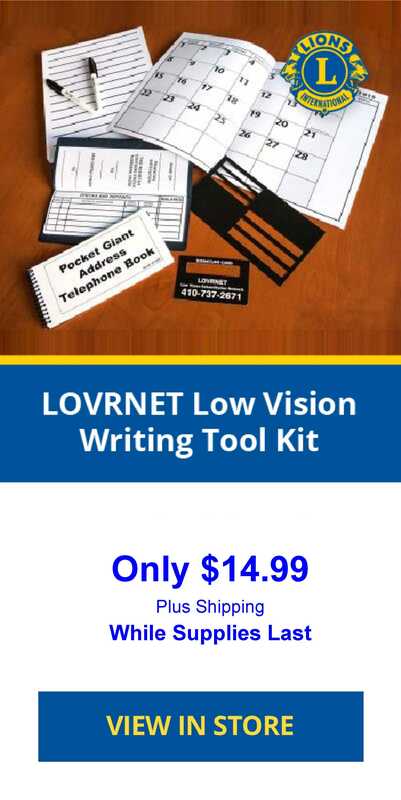 The term low vision does not refer to any particular disease, it refers to the visual impairment itself, which can be caused by any of a wide variety of eye, optic nerve, and brain disorders. The leading causes of low vision are age-related eye diseases such as macular degeneration, glaucoma, and diabetic retinopathy. Although these diseases can be treated to slow or prevent further vision loss, any damage already done to the nerves in the eye or vision part of the brain cannot be undone, so in most cases the low vision is permanent.